(Support solution for Linux kernel version 2.4 or later version. Storage Capacity: 32GB. 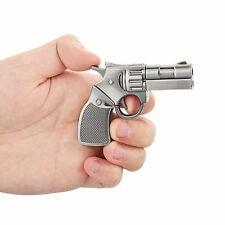 2PCS x 32GB USB 3.0 Flash Drive. 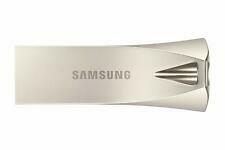 The data write speed: 10MB-40MB/S（USB 3.0). Support USB version 3.0 and 1.1. Compatible with Windows 7/Windows 8, Windows XP, Windows Vista, Hi-Speed USB 3.0 port required for high speed transfer. Shenzhen Kootion Technology, established in 2006, located in shenzhen. In china, we cooperate with Skyworth who are satisfied with our quality and service. The real color of the item may be slightly different from the pictures shown on website caused by many factors such as brightness of your monitor and light brightness. NEW SEALED - All standard accessories included. Simple, fast way to add up to 32GB of storage to your device. Write up to 15X faster than standard USB 2.0 drives. Move a full-length movie to the drive in less than 30 seconds. Product Part Number SDCZ430-032G-G46. 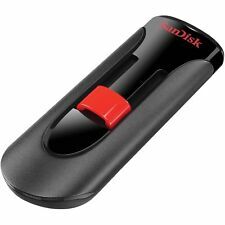 NEW Sandisk CRUZER U USB FLASH DRIVE. Cruzer U USB flash drive can hold everything from your music collection to your favorite movie—a range of capacities lets you choose as much storage as your busy life requires. LOT 2x SanDisk SDCZ93-032G Cruzer LOOP. 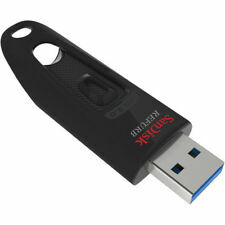 USB 3.0 Flash Drive 32GB. LOT 2 x 32GB = total 64GB. Transfer files much faster than USB 2.0 drives. USB 3.0 technology provides super-fast file transfers. Connections: USB 3.0. Storage Capacity: 32GB. 1PC X USB Flash Drives. Compatible with Windows 7/Windows 8, Windows XP, Windows Vista, Mac OS 9.0,Hi-Speed USB 2.0 port required for high speed transfer. No external power is required 4.5V ~ 5.5V from USB port.